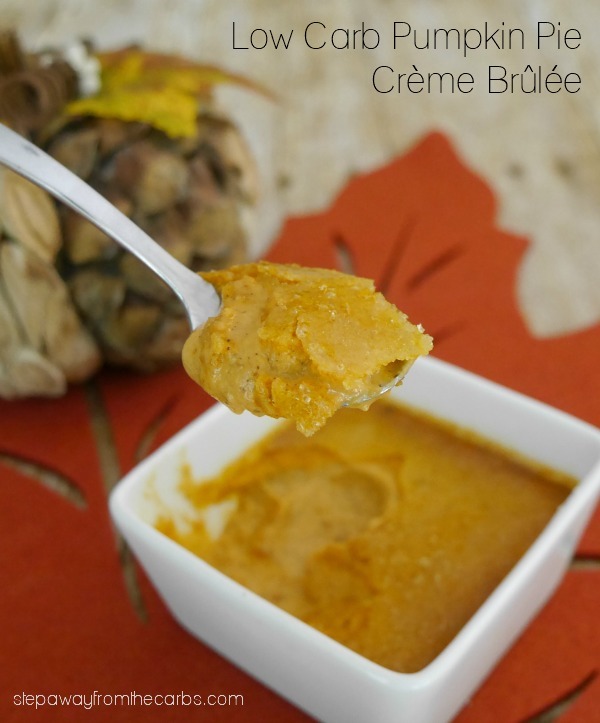 This Pumpkin Pie Crème Brûlée is a fantastic dessert for the fall! 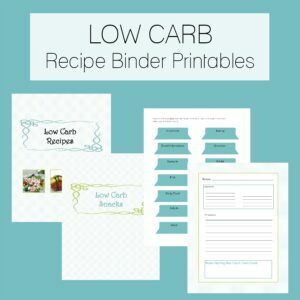 Low carb, keto, sugar free, and LCHF recipe. If you’re looking for a fancy and fabulous dessert for the fall (and lots of alliteration! 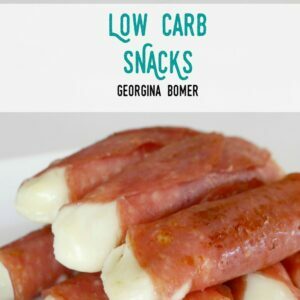 ), then try this recipe! It is an absolutely wonderful way to end a meal – and it can all be prepared in advance apart from melting that sweet shell on the top! To make the base of the crème brûlée, combine heavy cream, pumpkin puree (100% pumpkin, not pie filler! ), and pumpkin pie spice in a saucepan. Cook over a low heat for 5 minutes. At this point you might also like to add a few drops of orange food dye – because if there’s one thing that everyone associates with pumpkins, it’s the color orange! But of course this is entirely up to you. Meanwhile, add two egg yolks and some low carb sweetener (eg Swerve or xylitol) to a small bowl, and use a fork to whisk them together. 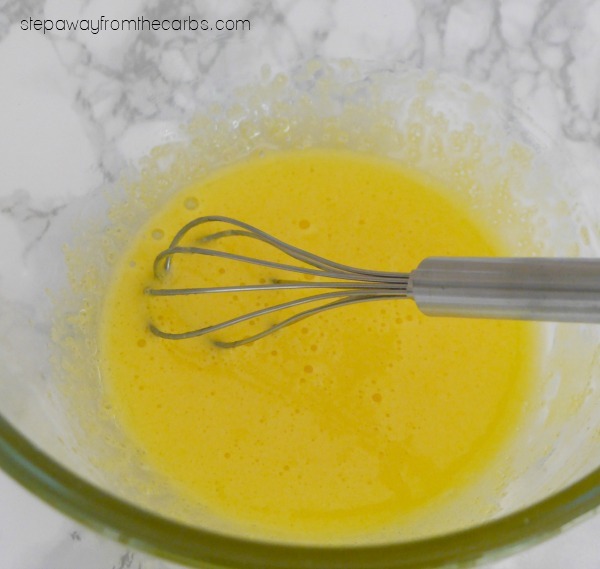 Temper the eggs by taking a spoonful of the cream mixture, and quickly mixing it into the egg mixture, Then add the tempered egg mixture to the cream mixture, and stir well to combine. Divide the mixture between two ramekins (I used these white square ones!). Place the ramekins on a small baking pan. 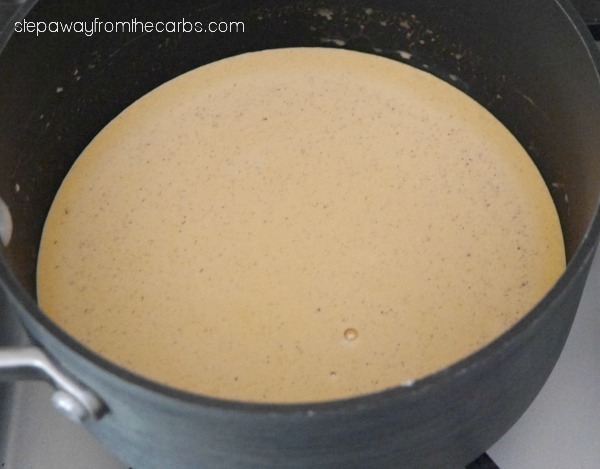 Fill up the pan with hot water so that it reaches about half way up the sides of the ramekins. Bake in a preheated oven for 30-35 minutes until the center is set, but still a little wobbly. Remove the ramekins from the water and leave to cool. Cover and refrigerate for 3 hours or overnight. Just before you’re ready to serve them, sprinkle each ramekin with a little erythritol (it’s the best for melting!). Place under a hot broiler (or use a cook’s blow torch!) until the sweetener has melted. Leave to cool for 5 minutes to let it harden, then serve! 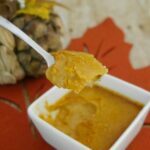 This pumpkin pie crème brûlée is a fantastic mixture of a soft and creamy base (with all your favorite pumpkin spices! ), with the hard sweet shell top. 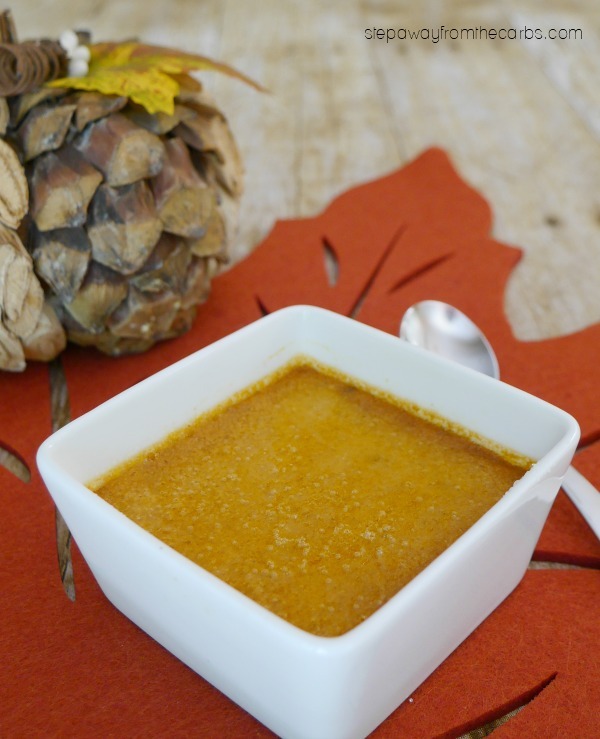 To make the base of the crème brûlée, combine heavy cream, pumpkin puree, and pumpkin pie spice in a saucepan. Cook over a low heat for 5 minutes. Add the orange food dye (if using). 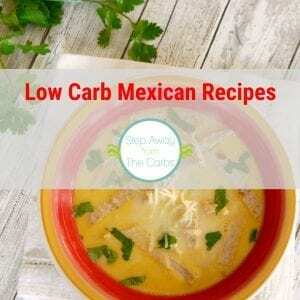 Meanwhile, add two egg yolks and some low carb sweetener to a small bowl, and use a fork to whisk them together. Divide the mixture between two ramekins. Place the ramekins on a small baking pan. Fill up the pan with hot water so that it reaches about half way up the sides of the ramekins. Bake in a preheated oven for 30-35 minutes until the center is set, but still a little wobbly. Remove the ramekins from the water and leave to cool. 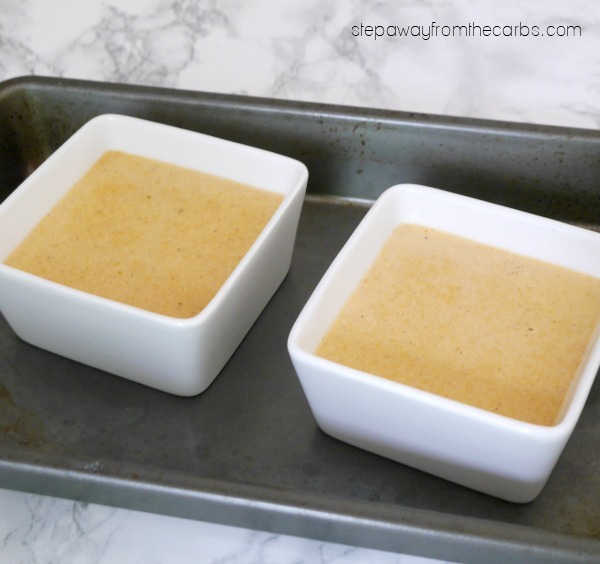 Just before you're ready to serve them, sprinkle each ramekin with the erythritol. Place under a hot broiler (or use a cook's blow torch) until the sweetener has melted. Leave to cool for 5 minutes to let it harden, then serve! 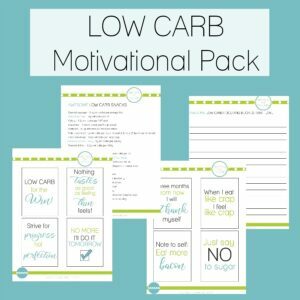 Data does not include the carbs from the sugar alcohols.